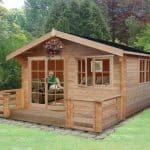 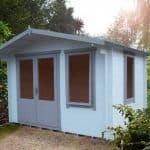 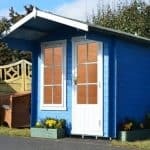 This is a delightful compact log cabin and will add great space to your garden – use as a workshop, summerhouse or just for storage. 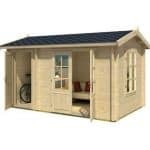 It is constructed out of strong tongue & groove wood and has a functional opening front window and a tall door. 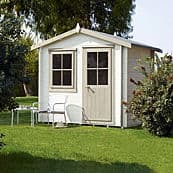 You could choose to spend hours inside, relaxing and escaping the outside world. 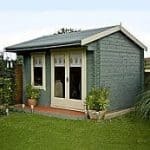 This handsome looking building will be a beautiful feature for any garden. 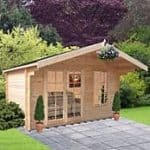 This product is home delivered.